Powerful and real. 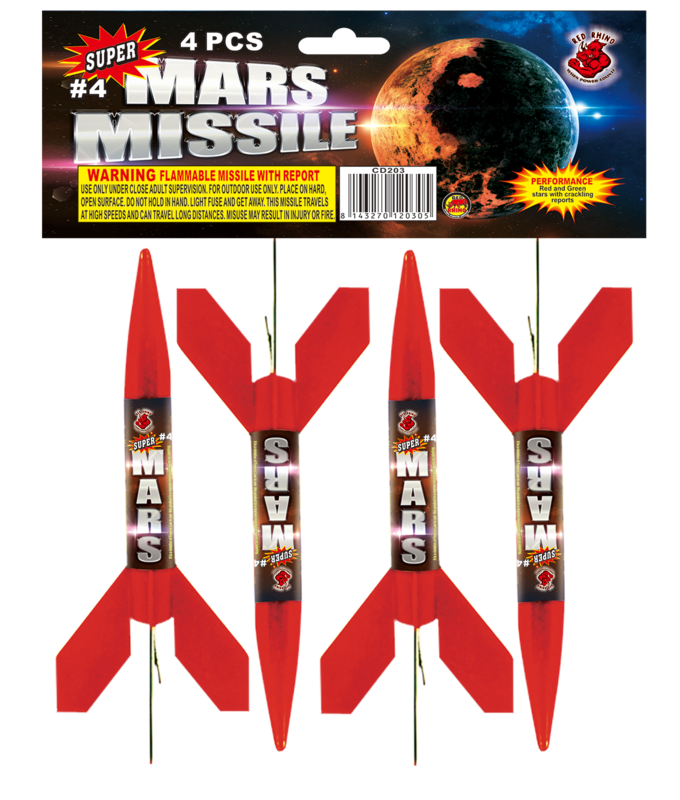 This smaller missile with red and green stars and crackle breaks come in a nice PVC bag with header for selling power. Not your usual Mars Missile. New and Super improved!